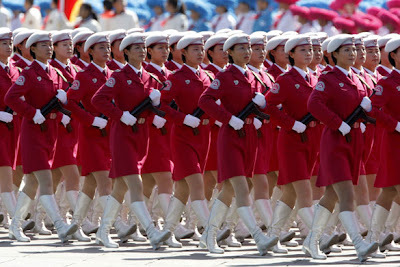 MOBIZ: Beauty Contest in China? What do you reckon the above is? Beauty contest? 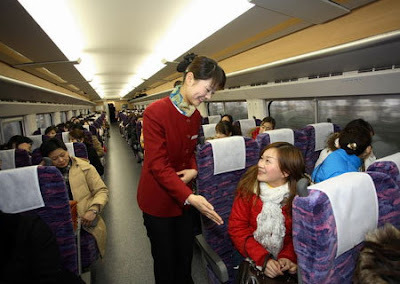 Almost, its really the Chinese way of selecting their best of the best to become a "Train Attendant in China!" 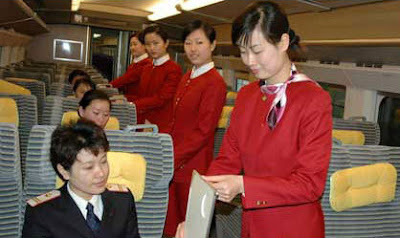 You got to look pretty regardless of whether you are serving on a plane or train or even joining the cadet. It pays to be pretty in China! Wanna know why they were in boots in the last picture ? Just look at the legs in the 2nd picture.